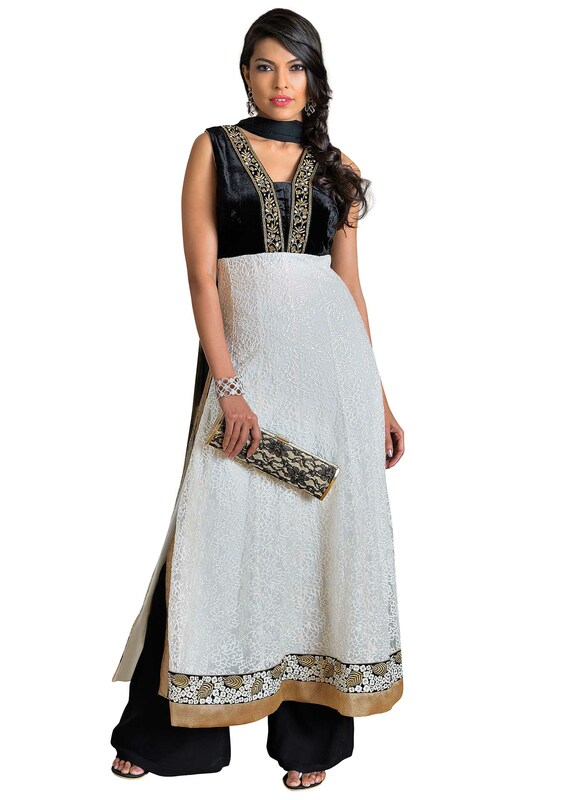 Straight fit suit featuring in white georgette embroidered in thread work all over. Yoke is black velvet with zardosi embellished placket. It comes with a black georgette palazzo pant and chiffon dupatta.